The iOS 12 release is just around the corner and there are all sorts of speculations about what all features this new release might be bringing. The internet is flooded with posts and articles, bringing you face to face with some cool features of iOS 12. Thanks to the numerous beta releases by Apple, we now already know about many astonishing features introduced by iOS 12. However, there is still no clarity when it comes to Siri features and upgrades. Like all previous iOS releases, iOS 12 also brings a number of new features to Siri voice controls. 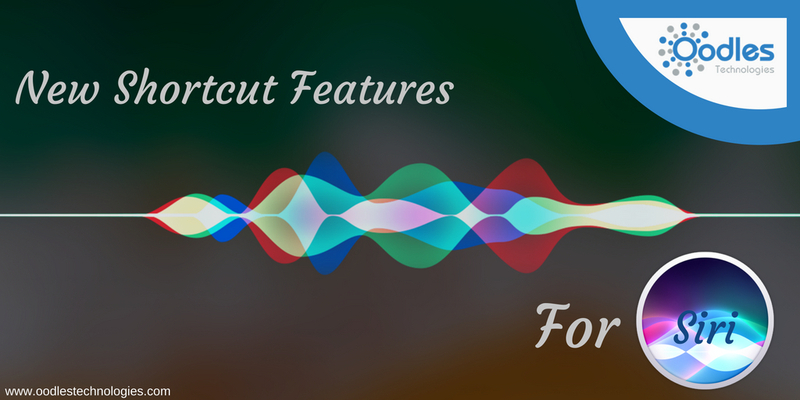 One of the most intriguing features out of these is the Siri Shortcuts, a feature that sends out voice notifications to the users and makes Siri do a lot of new tasks for you. With this new feature under its belt, Apple may get an edge over its two biggest competitors, i.e Google and Amazon. The Shortcuts features will enable Siri to automatically identify some common tasks and send you voice notifications to complete them on time. For example, it might be using your current location and calendar to identify if you’re getting late for a meeting or appointment. With that be the case, it sends you a voice or text notification to remind you of the same. In addition to that, you will also find various notifications on your lock screen to complete some usual tasks like placing a call to an event organizer or attend a scheduled meeting at some place. Let’s now have a closer look at the Siri Shortcuts! You may also like A Quick Comparison Between Siri Google Assistant and Alexa. One of the many perks of this new Siri feature is that you can create your own Siri commands too either through some third-party app or Siri controls on the Settings app. This further, helps you carry out some specific tasks that you have to perform at regular intervals. During this year’s WWDC Keynote, Apple showed a live demonstration of this feature with a travel app called Kayak and asked Siri to create a shortcut titled, “Travel Plans.” During the Keynote, the host created this Shortcut on the app and when she triggered Siri by saying, “Travel Plans,” Siri immediately recited her hotel address and check-in time. Also read How Siri Will Let You Sync Data Across Your Devices. The shortcuts can be created for a wide range of tasks such as sending out a message, playing music for watching your favorite TV show. For doing all this, there is going to be an exclusive shortcut app which allows you to create all these shortcuts. The app is currently available to the developers and testers who have installed the iOS 12 beta on their Smartphones. As it turns out, the Shortcuts app is quite similar to the Workflow app which was released earlier by Apple. In fact, Shortcuts offers a smoother UX as compared to Workflow because of the integration at system level. While the feature will most probably arrive with the iOS 12 release this fall, it’s still subject to changes and modifications. So we’ll be updating this article accordingly as soon as a new update arrives.